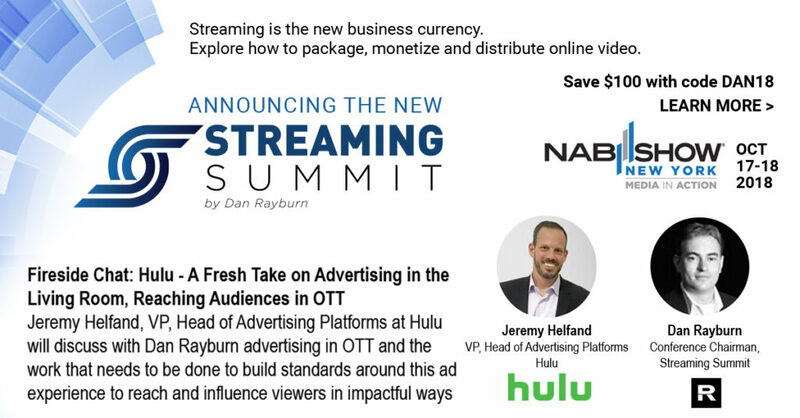 I’m pleased to announce that Jeremy Helfand, VP of Ad Tech at Hulu will join me on stage at the Streaming Summit, part of the NAB Show New York, October 17/18, for a fireside keynote chat. A growing number of viewers are flocking to on-demand, direct-to-consumer services that offer personalized, bingeable content and flexible subscription models. This trend opens more doors for advertisers to reach desirable, tech-savvy audiences in an environment that lends itself to interactivity and personalization. Despite these benefits, OTT isn’t perfect – much work needs to be done to build standards around this ad experience to reach and influence viewers in impactful ways. In this fireside chat, Hulu’s VP, Head of Ad Platforms, Jeremy Helfand, unpacks advertising in OTT and discusses what changes we’ll see in the future.